Rachel Skopp-Cardillo is a second year student working with CCAR as a research intern. 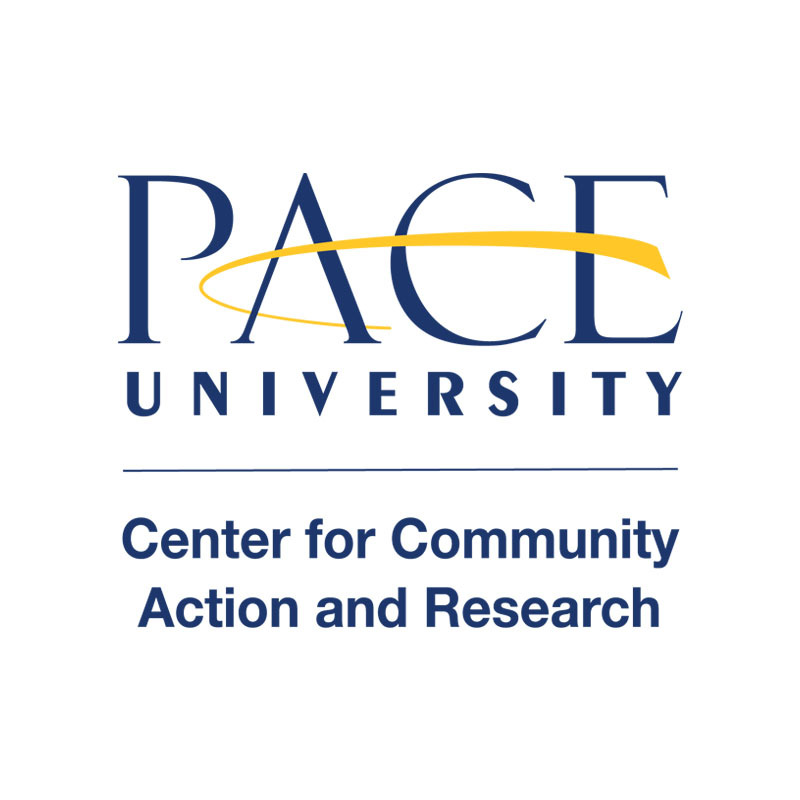 She is currently working a project surrounding the difference in environment and involvement between the New York City and Pleasantville campuses of Pace. Read more to learn about Rachel and how her work impacts her community. I honestly think it’s [CCAR is] a once-in-a-lifetime place to go to because they will set you up with people that will vouch for you and try to make you a better person in a bigger picture. How did you get involved with CCAR? Actually, they found me. I was interviewing [to be a] WOW (Week of Welcome) Leader and Heather Novak was one of the people in the room during the group interview. She recommended me to [apply for] the position that is currently occupied by Veronica [DiPaul]. I didn’t get the job but I told them in the interview that I was very into research and that I loved doing it. Veronica was doing a research project on politics in her position and I said I was into politics (ish) since I’m from D.C. and I know a lot about it. That’s how I got the job — expressing [interest in] research. What does being involved in your community mean to you? To me, that means — on a personal level — that means you always help anybody no matter what. I don’t care if I get anything in return, that’s not what I do. The point is to help somebody and always care about them. To me, you always help somebody, you always take care of somebody and you try to make the community [become] connected and come together and [take part in] events that will bring people together. Personally, I do it without thinking about it. I don’t realize it at the time. I’ll be like ‘Oh, I can totally help you with this after class or I can totally help you with this event or I’ll volunteer for this event.’ It impacts me in a way that I don’t realize and it can impact others [as well] — like a chain reaction. What does CCAR itself mean to you? About the whole office, I think it’s amazing. I know most universities don’t have this opportunity to have an office like this and it gives students opportunities to volunteer [at] other places. They have connections somewhere else. I honestly think it’s a once-in-a-lifetime place to go to because they will set you up with people that will vouch for you and try to make you a better person in a bigger picture. What are some things you’ve done with CCAR or on your own time as a student leader and advocate? So far, with CCAR, I’ve gone to all of their events. I basically help them with Pace Makes A Difference Day. Right now, I’m going with them to the Women’s Convention* in Detroit [in partnership] with the LGBTQ Office. I’m also doing the research stuff and trying to help them with voter registration. Anything to vouch for them will help. Right now, at this moment in time, I feel like being the Volunteer Chair for Fall Leadership Conference is helping not only the Pace community in the sense of trying to get the people who aren’t necessarily the “leaders” of Pace to come to this conference and realize that they can be a silent leader. This means that they don’t have to be the President of SGA or a club. They can come to the conference and realize that they can make an impact by posting a small social media post or voicing themselves in a way they feel comfortable in. Another thing I’m proud about is just being a part of CCAR because I feel like I’m making an impact in that way. I just feel like I’m a part of something. Last year, I was a part of Programming Board and thought that was where I was going to start my Pace career. This year, I’m like CCAR is where I’m starting my entire experience at Pace in general so I feel like that’s had a bigger impact on me and my community. Keep an eye out for an update on Rachel and her analysis on the differences between the NYC and PLV campuses. *This interview took place before Rachel left for the Women’s Convention. She was in attendance at the convention in Detroit, MI from October 27-29.